Group fitness can have a dramatic impact on that age-old challenge for health club operators: member retention. We review the evidence. Fitness has never been bigger: these days, 61 per cent of people who exercise regularly are doing gym-type activities. But it’s still a challenging business for health clubs, and that’s because – even as participation reaches such high levels – the options of where and how to work out are proliferating. In this uber-competitive environment, it’s harder than ever to keep your members loyal. We have more budget clubs, more boutique studios, more out-of-club options thanks to fitness technology. A large millennial and Gen Z audience are chasing new fitness experiences that traditional clubs simply aren’t providing. Consumers are mixing and matching their fitness experiences, seeking variety in their workouts – and their workout locations – rather than committing to a full-service gym membership. Set against this backdrop, it’s hardly surprising that retention – always the health club industry’s Achilles heel – remains its biggest problem. There is of course no single, simple solution to this age-old challenge. But there is a simple way to sum up what we need to do if we’re to bring retention levels up to acceptable standards: we have to help our members fall in love with fitness – and with our clubs specifically. We would say it wouldn’t we, but group fitness can play a huge role in the ‘falling in love’ game. 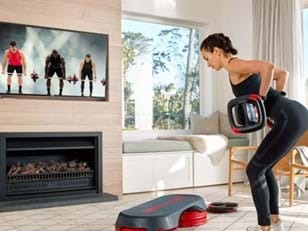 Indeed, in consumer research carried out by Nielsen on behalf of Les Mills, ‘great fitness classes’ ranked as the second most important reason for attendance of a specific fitness facility, behind ‘location’ but ahead of third-placed ‘selection and maintenance of equipment’. Don’t want to take our word for it? Independent research also shows just how powerful group fitness can be in boosting retention levels. In 2013-14, for example, UK research by Dr Melvyn Hillsdon and The Retention People (TRP) found that, over the space of seven months, the risk of cancelling was 56 per cent higher in gym-only members compared to group exercisers (27.6 cancellations per thousand per month versus 17.7). Meanwhile, research by IHRSA (the International Health, Racquets and Sportsclub Association) shows that group exercise attendees visit their club on average 2.7 times a week, compared to gym-only users who attend twice a week on average. In doing so, group exercisers build stronger connections to their club and are statistically more likely to keep up their membership for longer. But why is this exactly? What’s so special about group fitness? With its high levels of interaction and music, varied moves and instructor-led motivation, group fitness is a fun and engaging experience. This winning formula lies at the heart of every new routine we create at Les Mills. Because after all, if what we want is to make members fall in love with fitness – if we want to get them hooked on the experience – what better idea than to make it enjoyable, fun, something they want to repeat? The more of your members who work out in a group, the better. Indeed, Dr Melvyn Hillsdon/TRP research suggests that those who have a workout buddy – someone they feel accountable to – are 40 per cent less likely to cancel their membership than those who don’t. In the end, nobody ever left a gym because they had too many friends – and the community within the group exercise studio is the perfect place to make them. Results are at the heart of retention, and the key to getting results is building and sustaining an exercise habit. This is hard work for members to achieve on their own, but as part of a group – with the club helping them along, motivated both by the instructor and by the community around them – people are far more likely to succeed in making fitness a part of their lifestyle. And it isn’t only physical results: new research shows that group fitness also drives far greater reductions in stress levels than solo workouts. All of this, and more, is why you should build your club business on the strong foundations of a group fitness experience. And not just any group fitness experience, but the Les Mills experience. In the end, when members love the workouts, they fall in love with your club – and they keep coming back for more, bringing their friends with them. 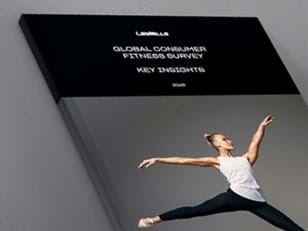 Get in touch to find out how Les Mills could strengthen your business through its group fitness program.